Wondering how to make use of all that spare time on the plane while you're flying to Istanbul or Ankara? 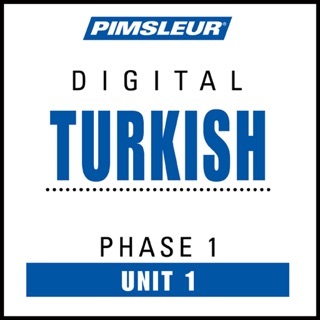 Between your in-flight meal and your in-flight movie, try some In-Flight Turkish! 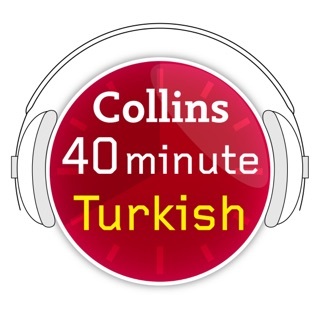 This 60-minute program is the simplest way to learn just enough Turkish to get through anything you'll run into, whether you're traveling for business or for pleasure. 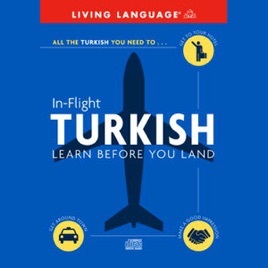 Short lessons make In-Flight Turkish easy to use.Covers everything from greetings and polite expressions to asking directions, getting around, checking into a hotel, and going to a restaurant. 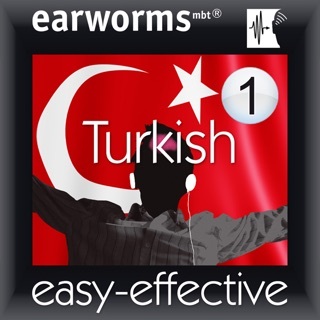 Over 400 essential words, phrases, and expressions. Simple and effective format: just listen and repeat. I was very disappointed with this audiobook. The phrases were not repeated, requiring frequent playback. Because of the standard 15 second playback timing, much time was wasted. For $2.99, Fodor's, I believe along with Living Languages, produces an iPad / iPhone app that I believes uses the very same audio. The app is better organized, allows you to see the spelling of the words, allows favorite lists, and is much better priced. There is no reason to buy this audiobook given better app product at a better price. From my perspective, this audiobook is easily the worst $9.99 I've spent at iTunes.